in recognition of the top 4% reception and ceremony venues. Classic, charming, and infinitely elegant, Astoria Banquets & Events is not your typical banquet hall. 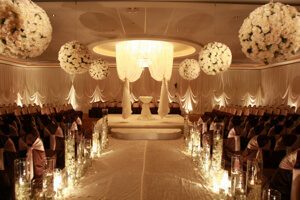 Located in Buffalo Grove, IL, the indoor Astoria banquet hall is an award-winning wedding venue that will leave your guests breathless. From the ceremony to the reception, every aspect of your wedding will be a picture-worthy moment for you to look back on. Imagine a wedding as extraordinary as your love . . . So many couples have said that they’ve had the best wedding experience at our indoor Astoria banquet hall in Buffalo Grove, IL. 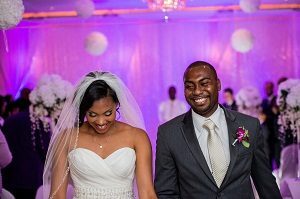 You too can create wedding day memories that will last a lifetime. With dedicated, friendly customer service at our premier Chicago Astoria wedding venue, we know what it takes to give you the wedding day of your dreams. Call us at (847) 392-7500 to set up your Chicago Astoria wedding venue visit and discover why so many couples have said . . . this is it, the perfect venue for our wedding. Ready to start planning your wedding? Call (847) 392-7500 or inquire here. You deserve a wedding ceremony setting worthy of your I do. Looking for a deal? Here’s how to have the best wedding at Astoria on a budget. Visit our Gallery to find your wedding inspiration.